Beyoncé shocked the world once more with the release of her sixth studio album, "Lemonade." Released via Parkwood Entertainment/Columbia Records, "Lemonade" is the superstar's most revealing, soul-touching body of work she has ever released. The album, described best by her music streaming company, Tidal, is a musical visual of "every woman's journey of self-knowledge and healing." "Lemonade" chronologizes the thought process of Beyoncé coming to terms with the infidelity in her very public marriage to rapper/mogul Jay Z and how she overcame their tribulation to reach forgiveness. The album was accompanied by the release of a 60-minute film of the same name, which premiered on HBO on April 23, 2016. The film is divided into eleven segments: Intuition, Denial, Anger, Apathy, Emptiness, Accountability, Reformation, Forgiveness, Resurrection, and Hope and Redemption. The film uses poetry and prose written by Somali poet Warsan Shire; her poems which she adapted were "The Unbearable Weight of Staying", "Dear Moon", "How to Wear Your Mother's Lipstick", "Nail Technician as Palm Reader", and "For Women Who Are Difficult to Love". The album opens with the solemn track 'Pray You Catch Me'. Within this song, you can hear Bey's suspicion of infidelity and the pain it carries. We realize from the start how emotional this album will be... The next track, 'Hold Up', is an ode made clearly to Jay Z where hear Bey question her husband's loyalty. "What's worse -- being jealous or crazy?" Beyoncé sings and trust me, both are bad. Jealousy can make you crazy so eventually you're going to experience both. In the film, we see a bat-wielding Beyoncé strutting down the street in a canary yellow Roberto Cavalli dress wreaking havoc. If you're going to lose your sanity, at least make it a fashionable meltdown, right? The defiantly "I don't give a f__ about you" anthem 'Sorry', has a boastful Bey gleefully singing "I ain't sorry". In the film we see tennis superstar Serena Williams dancing and bopping with Beyoncé. Fun track, but is Yoncé really over Jay? The sultry '6 Inch' bares reminiscent to her previous track 'Partition' with the sensual elements that it carries. Featuring The Weeknd, '6 Inch' is about the hardworking woman and her unstoppable grind to make her money. As empowering as this song may be, towards the end, Beyoncé's vulnerability shows. Despite the last two tracks declaring she's good on her own, the daring diva still yearns for her partner. 'Daddy Lessons' is a country ballad where we hear the tough lessons from a father's point of view. Bey's father, Matthew Knowles, taught her how to be strong and to avoid men like him. If I haven't stated this early on, "Lemonade" is/was inspired by all the important women in her life and the lessons she learned from them... Beyoncé's mother, Tina Lawson, dealt with her own infidelity in 2011 with Matthew. The news (from an outsider looking in) hit Beyoncé hard. Hard enough for her to separate business tie with her father. In the film, we see Matthew playing with Bey's adorable daughter, Blue Ivy which makes it clear that Beyoncé forgave her dad. If Beyoncé can forgive her father, can she forgive Jay? Added Note: Jay Z dropped a line on Fat Joe's remix to 'All the Way Up' stating: "You know you made it when the fact your marriage made it is worth millions/Lemonade is a popular drink and it still is/Survival of the lit-est/ N___s who really up versus n___s up in your business." 'Love Drought' opens the stage for forgiveness and reconciliation. Still feeling a little insecure, Beyoncé extended her hand out to work on their relationship after having time/space to think things over. Throughout 'Love Drought', Beyoncé is still questions her husband's love, loyalty, and trust but it's clear she wants to reconnect. 'Sandcastles', one of the few ballads on the album, showcases Jay in the film "surrendering" himself to Bey. This part of the film was very raw and emotional seeing the two reconcile. 'Forward' (featuring James Blake) is the turning point of the album. Right towards the end of the album, we finally hear Beyoncé moving forward to reconciliation. My favorite track on the album, 'Freedom' featuring rapper Kendrick Lamar, is power ballad dedicated to black women. The film depicts the mothers of Trayvon Martin, Michael Brown (seeing Lesley McSpadden cry tug at my heartstrings) and Eric Gardner with photos of their deceased sons while Beyoncé sings hope and empowerment into the souls of those trying to break pass the barriers before them. Actresses Amandla Stenberg, Quvenzhane Wallis and Zendaya, model Winnie Harlow, ballerina Michaela DePrince, Creole chef Leah Chase, musical duo Ibeyi and Parkwood Entertainment signees Chloe and Halle. 'All Night' is a midtempo ballard that highlights love that triumph through the pain/hardship to continue to flourish. After being on an emotional roller coaster, 'Formation' closes the album on a high note. Currently, Beyoncé is demolishing her Formation World Tour. Sold-out everywhere. Are you surprised? Beyoncé released her highly anticipated athleisure collection, Ivy Park, this past April selling out at Topshop, Nordstorm, Net-a-Porter instantly. The 200-piece collection boast effortlessly cool logo-embellished sports bars (with matching leggings) and bodysuits, reflective print jackets, over the thigh varsity socks, and more! The collection is quite affordable and the price ranges from $30 - $200. I will eventually buy most (if not all) of this collection. We've been sipping and quenching our thirst on "Lemonade," and quite frankly I feel replenish thanks to Beyoncé, but the singer is still giving our thirsty butts something else to drink. 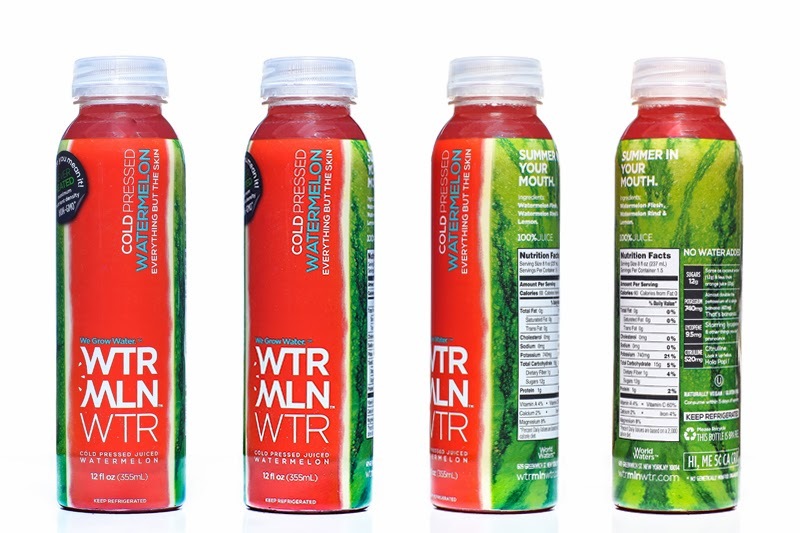 Beyoncé invested in a cold-pressed watermelon-based sports drinks called WTRMLN WTR. Via Billboard, Jody Levy, co-founder and creative director of WTRMLN's parent company World Waters LLC, told Bloomberg that Beyoncé's investment makes her a "meaningful" shareholder. 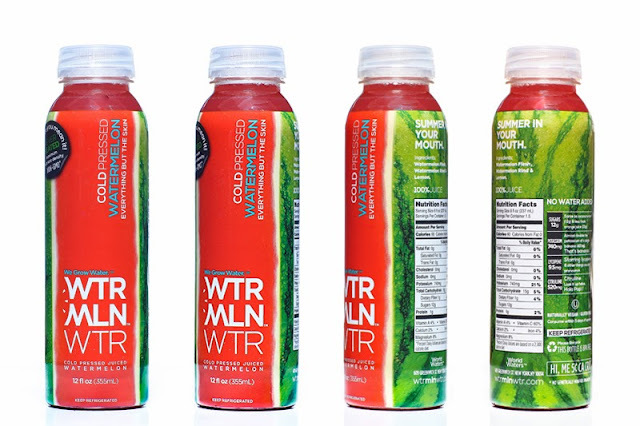 "I invested in WTRMLN WTR because it's the future of clean, natural hydration; as partners, we share a simple mission to deliver accessible wellness to the world," Beyoncé said in a statement. "This is more than an investment in a brand, it's an investment in female leaders, fitness, American farmers and the health of people and our planet."